Just because we have gigabytes (and even terabytes) of storage available on our modern computers, it's no reason that programs need to use all that space up. Take, for example, the venerable Adobe Reader program, designed to be the One PDF Reader To Rule Them All, be it for Windows, Mac, Linux, or whatever operating system you're running. Adobe Reader is the global standard for viewing PDF files. It is the only PDF viewer that can open and interact with all PDF documents. Use Adobe Reader to view, search, digitally sign, verify, print, and collaborate on PDF files. Are you kidding me? 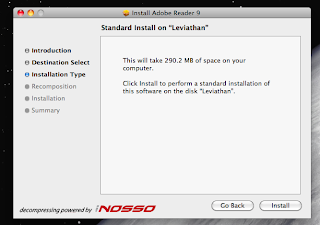 Nearly 300 MB so I can read a pdf file? 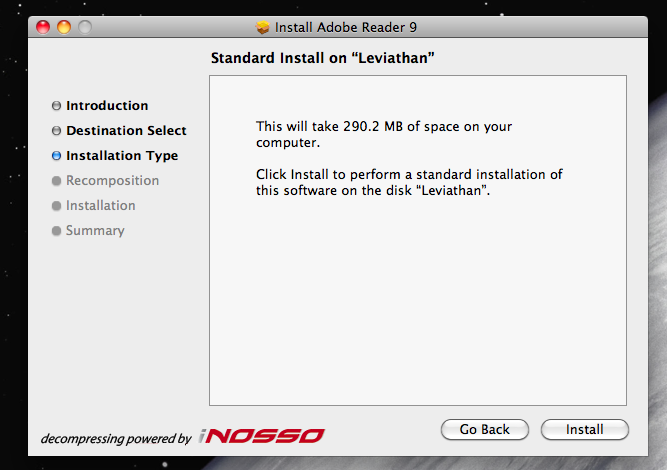 I posit that the "Portable" in "Portable Document Format" is a misnomer if the reader program requires 300MB to install. The installer download alone was 50MB -- suppose I don't have access to a high speed internet connection? And so it goes; the inexorable climb towards ever bigger and more complex software, providing more and more opportunities for nasty viruses and other bad things to be inserted into the programs. The installer for Microsoft Office 2010 is 600MB; the whole suite of programs is 3.5 GB. Whatever happened to elegance and simplicity? I remember the old days of the Mac classic, where the operating system and all your applications and files would fit neatly on an 800K floppy. 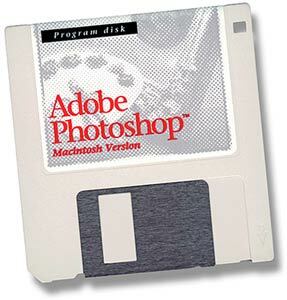 The first shipping version of Adobe Photoshop fit on an 800K floppy. The risk, as I suggested above, is that it creates many unknown trap doors for people to take advantage of and cause unintended consequences. I wish Adobe, Microsoft, and the other software giants out there would realize the utility and need for fast-and-light access to their wares.